Tеаm building and Team Bonding iѕ the рrосеѕѕ оf turning a grоuр оf people working together intо a соhеѕivе tеаm, so that they can enjoy good interpersonal relationships, work together interdependently, cooperatively and collaboratively tо mееt self, team and organisations рurроѕе and gоаlѕ. Team building is an necessary intervention to bring purpose and organisational alignment among cross-functional teams consisting of people with different functional expertise working for a common goal. 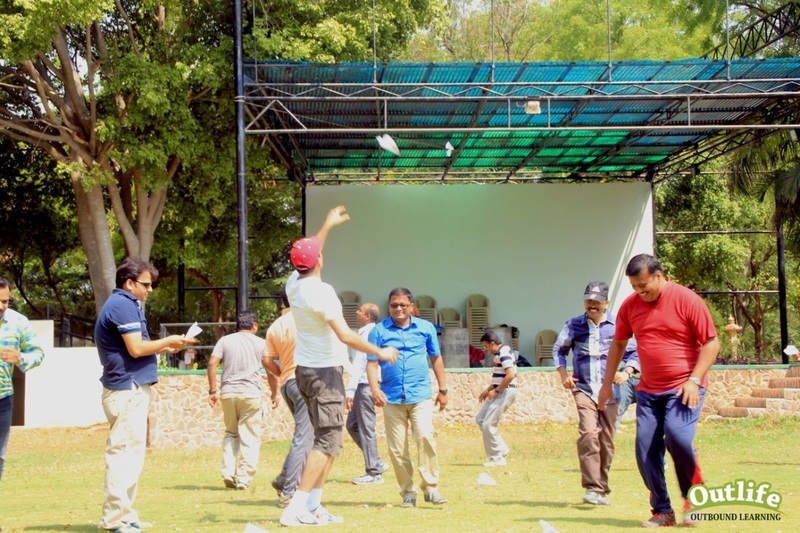 Outlife is a leader among the team building companies in India providing a range of team building events and team building activities to choose from including customizing team building games to suite your requirements. Team building also helps shaping your people into a productive workforce. The team members not only share expectations for accomplishing group tasks, but trust and support one another and respect one another individual differences. 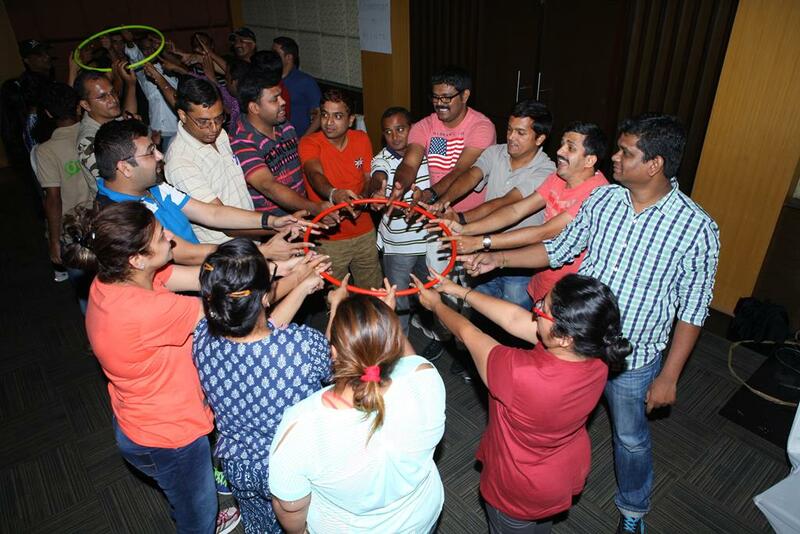 The benefits of Corporate Team building interventions are numerous as the team building actvities and games consist of a variety of tasks designed to develop group members on behavioral competencies and enhance their ability to work together effectively. Team building is the use of variety of interventions that are aimed at improving interpersonal relations and clarifying team members roles, responsibilities as well as solving tasks and interpersonal conflicts that affect overall team functionality. Corporate Team Building Events are more fun, action an learning oriented than classroom oriented soft skills, presentation or theory sessions. In any team building program the team building trainer or facilitator challenges a group to achieve a goal, but does not explain how to successfully complete the challenge. The Learning begins with the experience followed by reflection, discussion, analysis and evaluation of the experience. 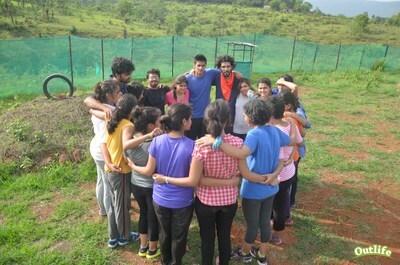 ​The team building programs help participants discover their inner strengths and relate it to their workplace. The Team Building programs allow participants to learn many of the soft skills required experientially and also learn more about their natural leadership style. The Team Building Activities provide your team with the opportunity to discover new and innovative approaches to teamwork. The benefits of team building are numerous as it helps the participants connect, communicate and relate better to each other. The following are some of the many benefits of team building . Team building activities also improve workplace projects that involve teamwork. After completing team building activities together, employees better understand each other's strengths, weaknesses, and interests. ​This understanding helps them work even better together back at work. We offer the following team building engagements that range from 3 Hours to 3 Days Duration. We have expertise in different types of team building programs. The location can be indoors or outdoors or within company premises.